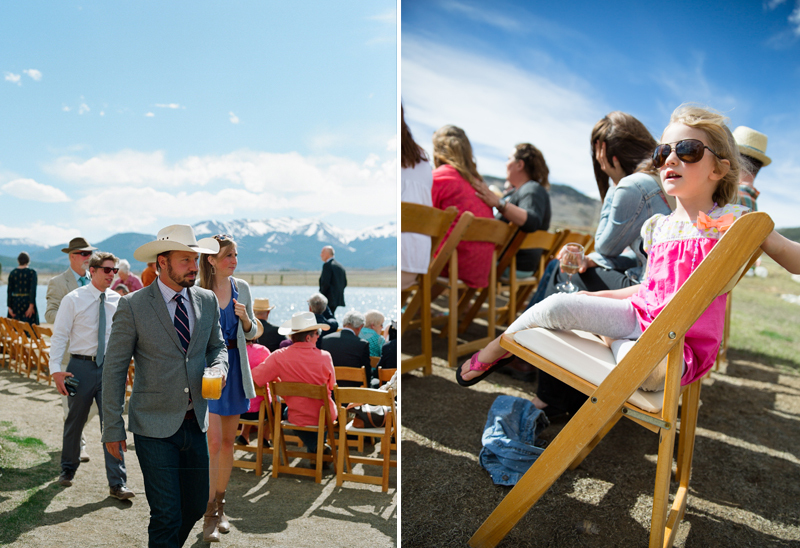 The last wedding I photographed was three weeks before my daughter, River, was born. 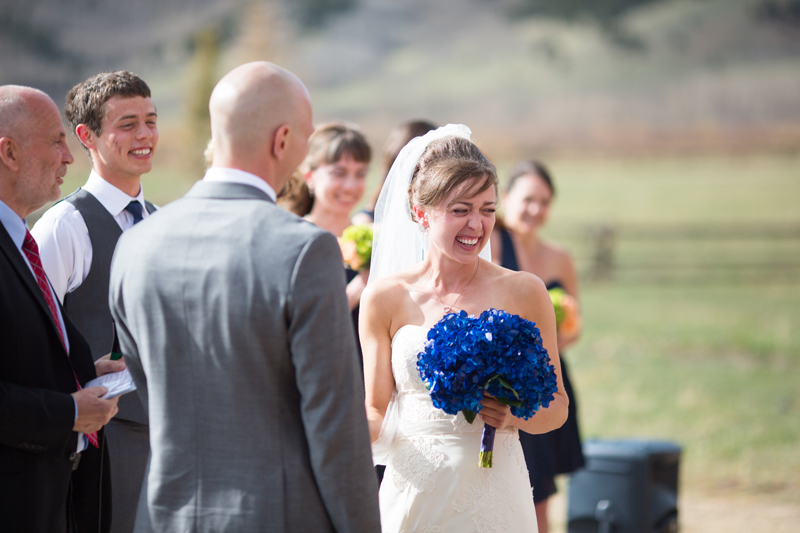 Seven months later I had a smiling wrigly baby. 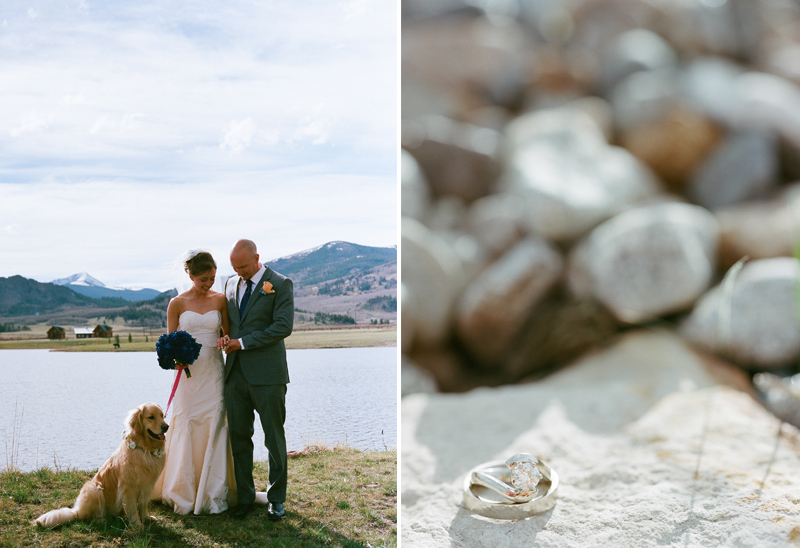 Leading up to this wedding I knew it would be tough to be away from River but I knew once I was in the middle of photographing a wedding again I would be reminded of just why I love it. 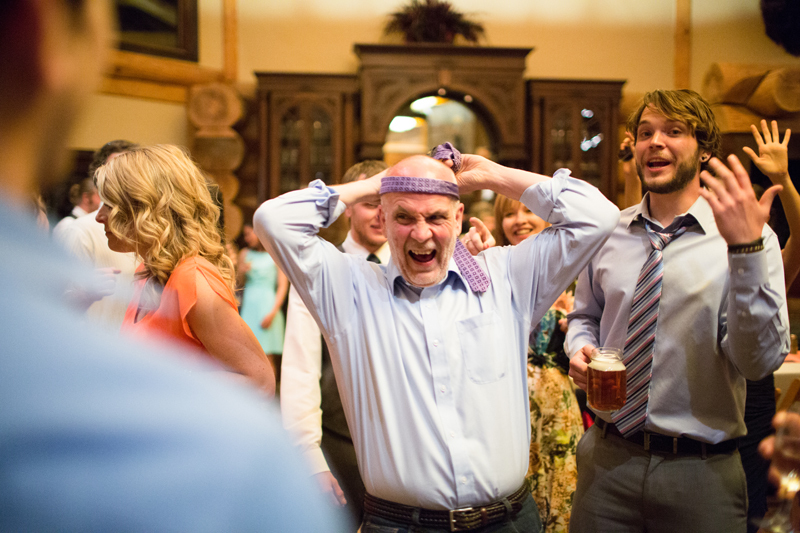 I also discovered new reasons why I love weddings. 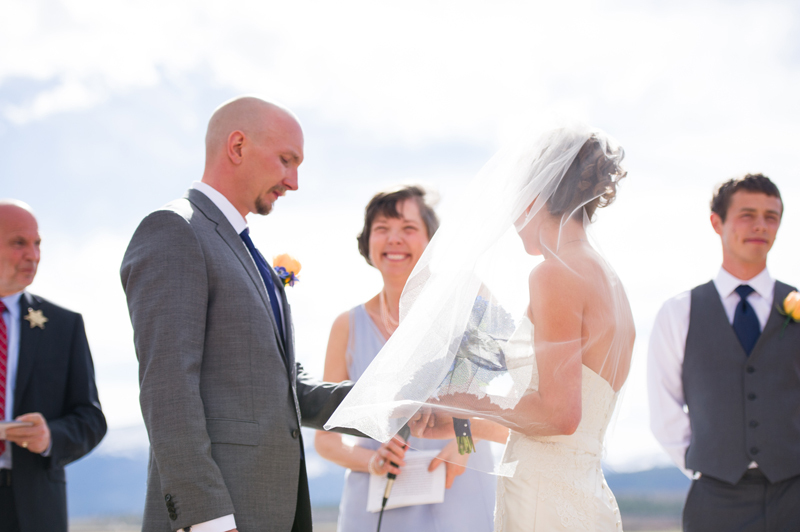 Throughout this wedding I teared up several times. 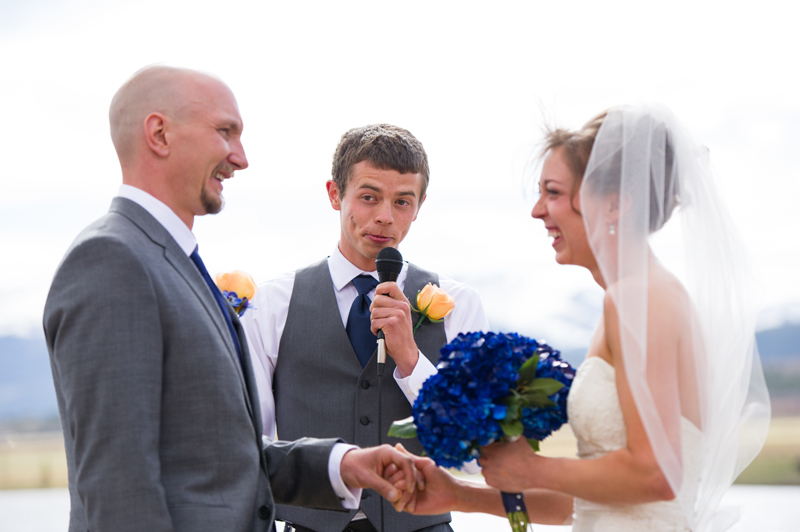 I used to tear-up as I watched a couple describe their love for each other and begin their marriage with their vows. 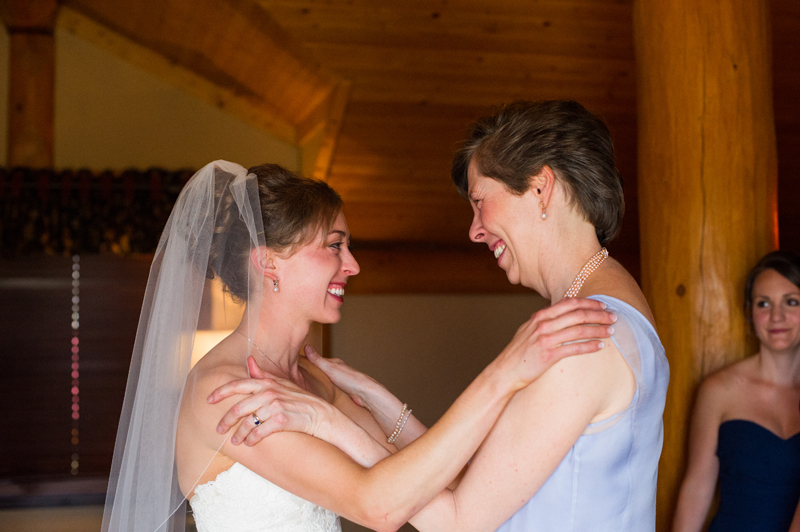 It reminds me of the moment I married my husband and helps me to appreciate my own marriage. 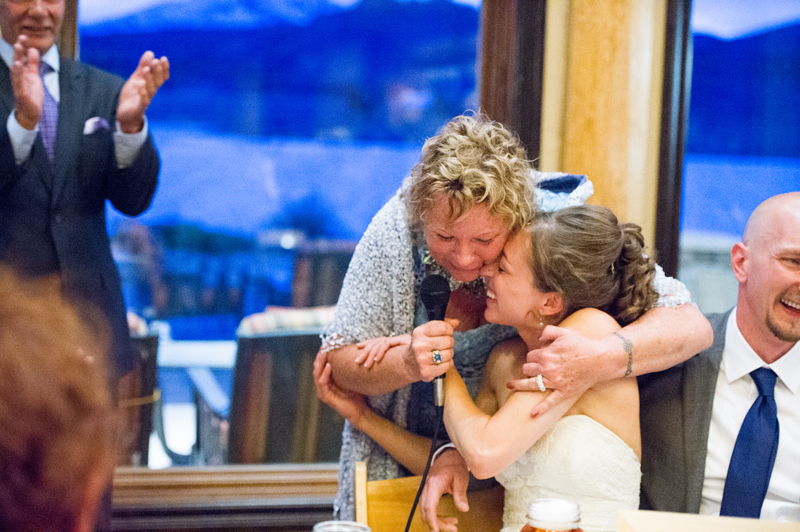 But now I also tear-up when the couple’s parents are involved. 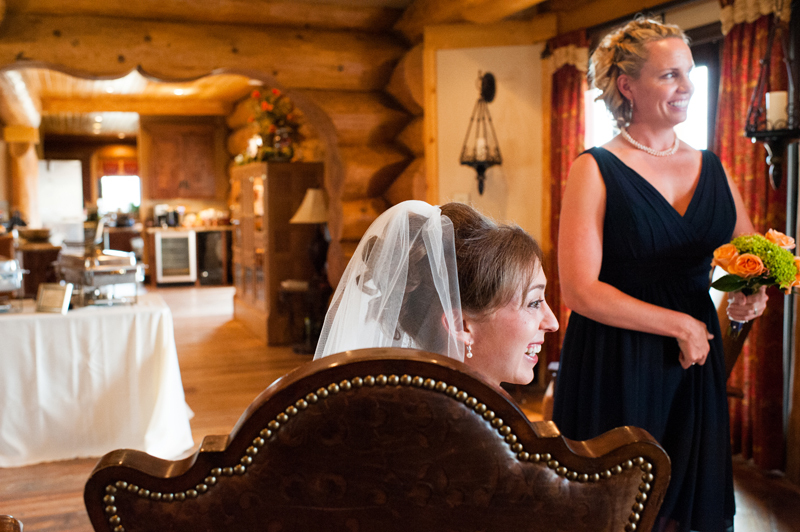 During the moments before the ceremony. 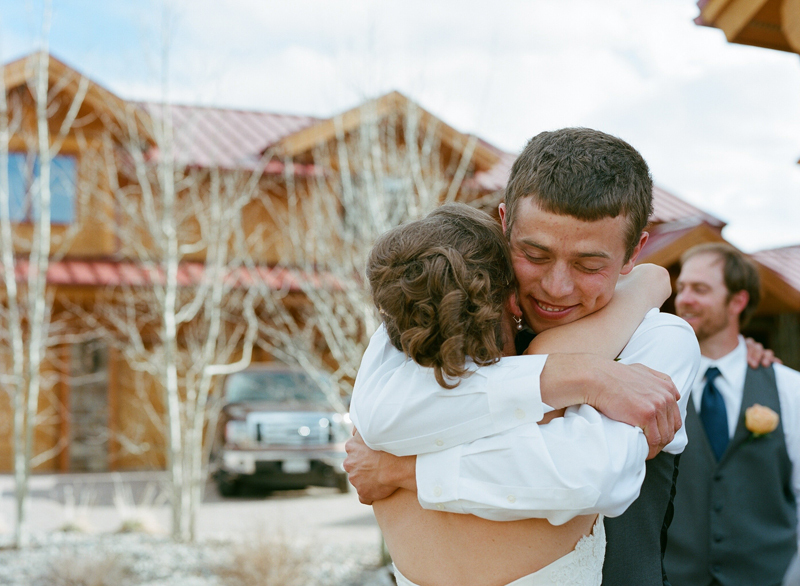 Those last hugs before their children get married that communicate just how very proud they are. 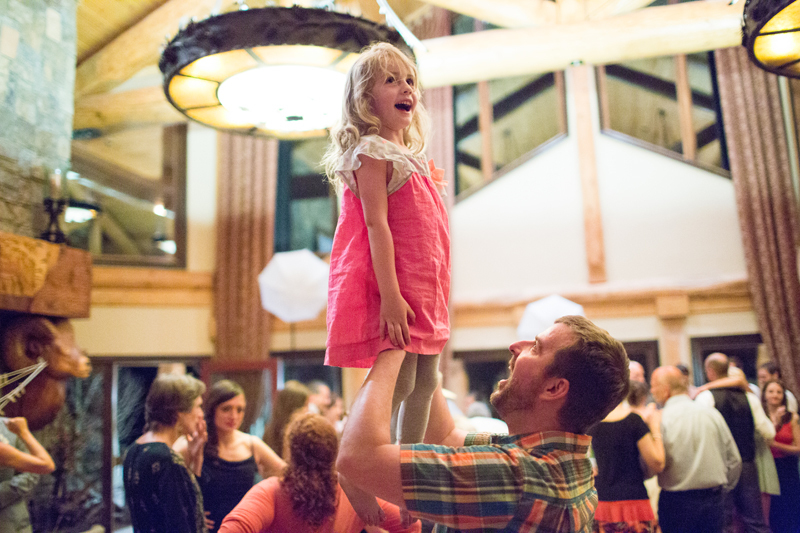 During the father-daughter dance. 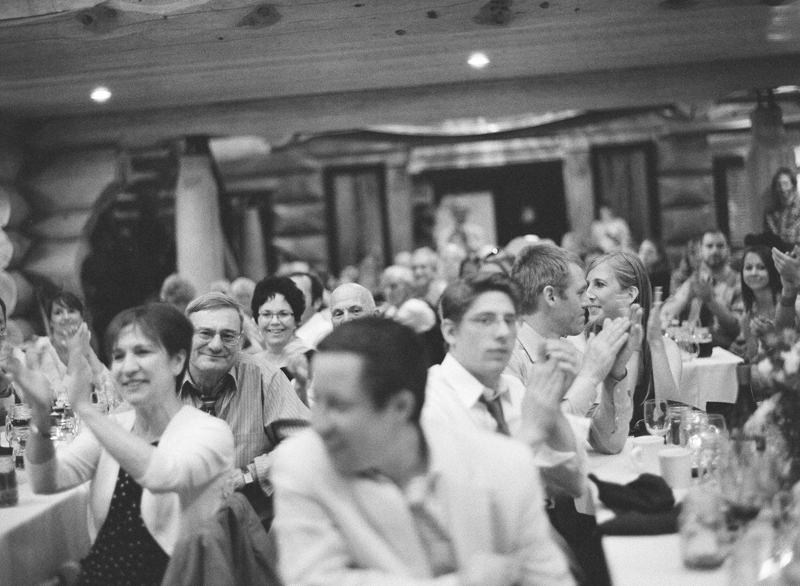 During the speeches. 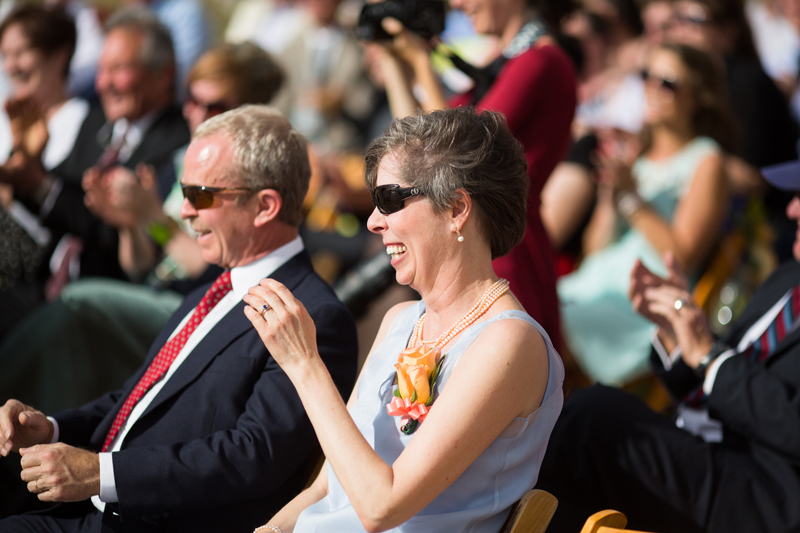 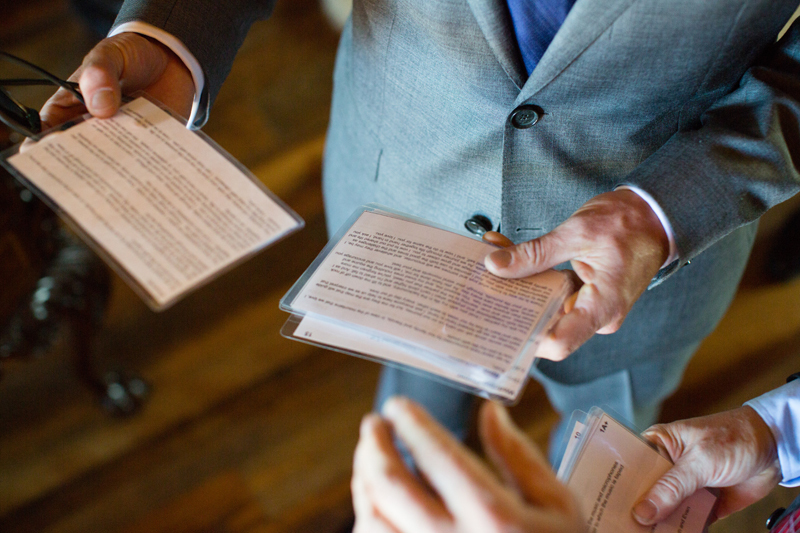 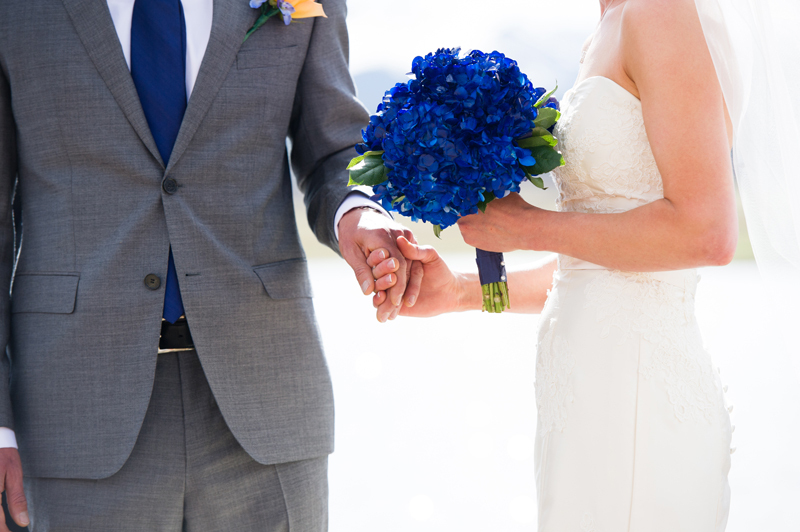 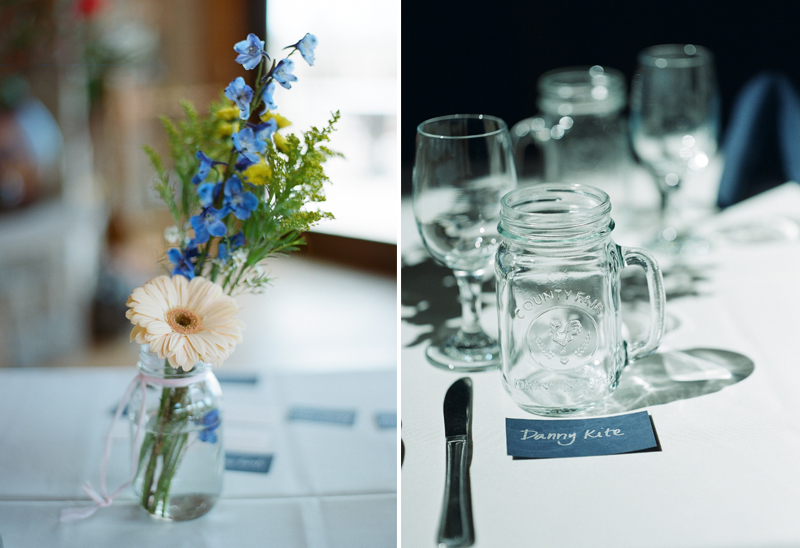 A wedding is about more than simply one couple coming together. 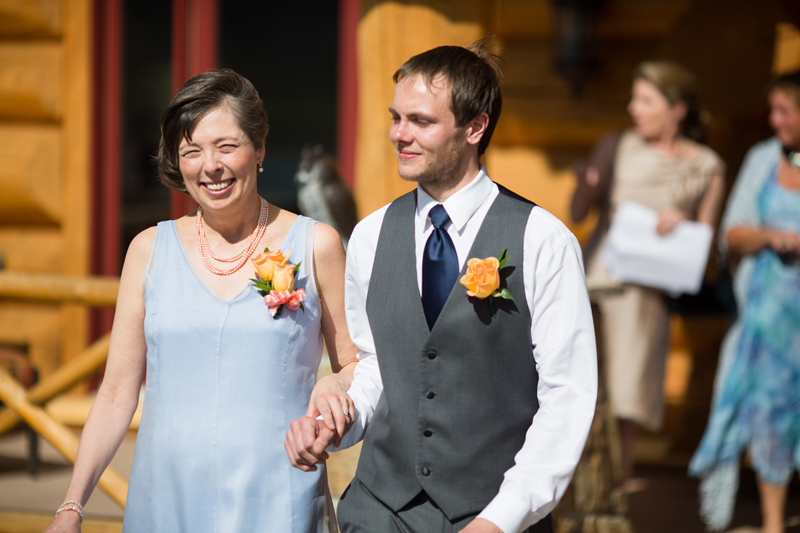 It’s also about the dreams and hopes a parent has starting when their children are just little babies. 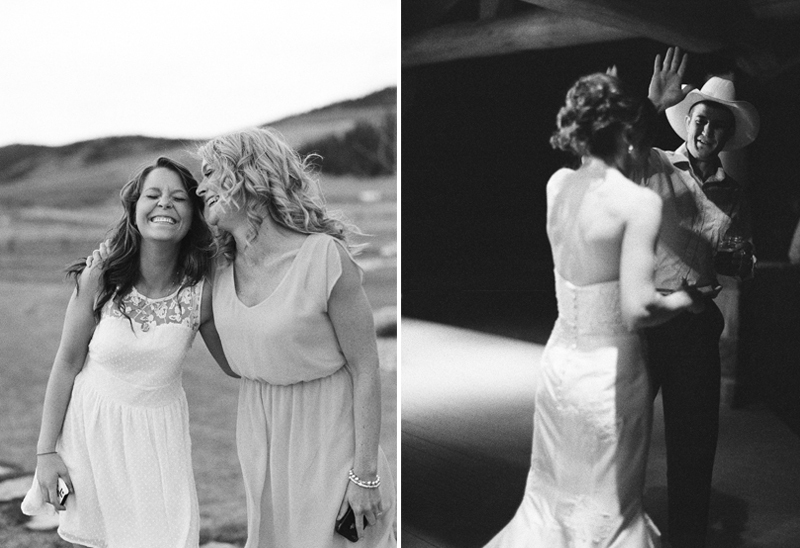 A hope that their children grow up to find and give love. 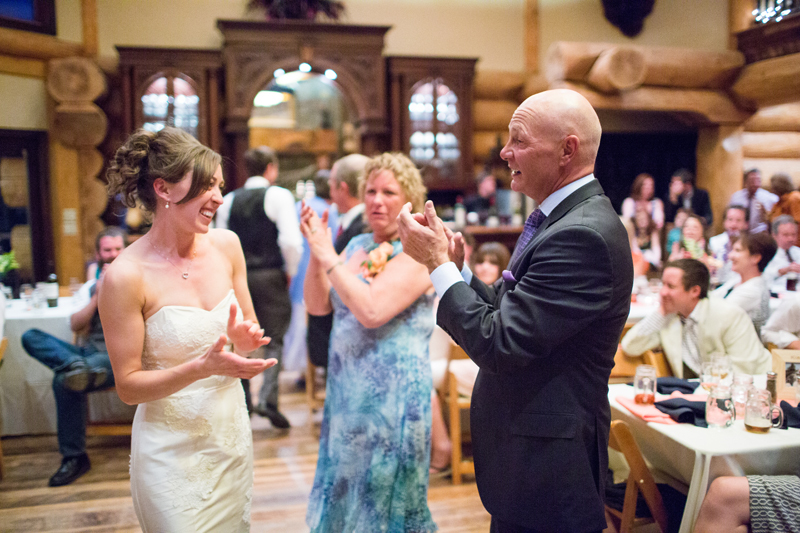 Elizabeth’s dad, Fred talked in his speech about how a child really teaches us how to love. 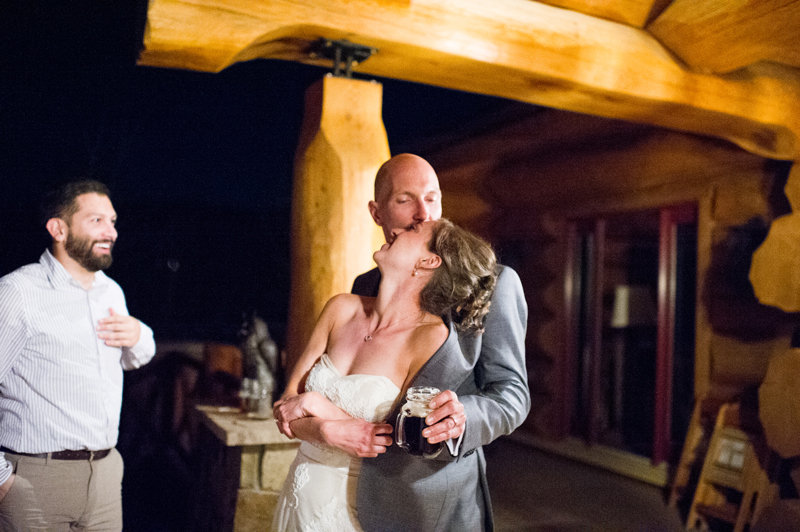 I loved Eric before River but my love for her is so deep and so very strong despite only knowing her for seven months. 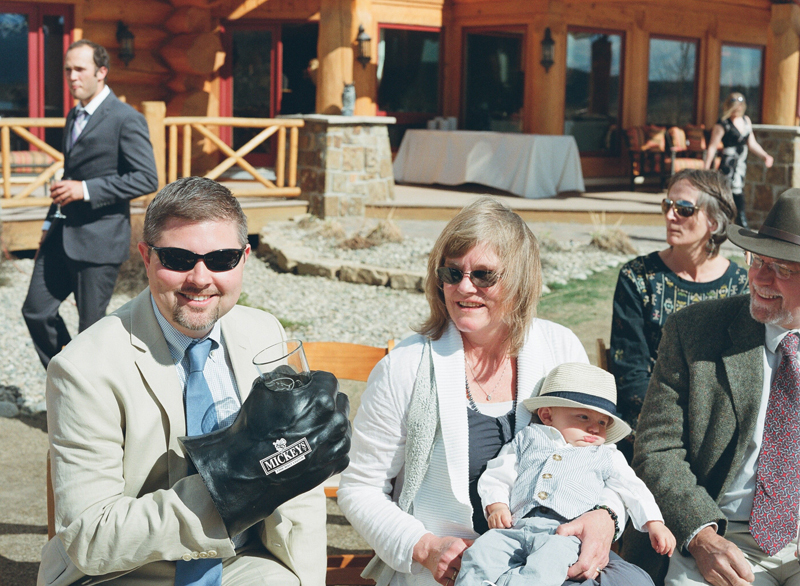 And Evan’s dad, Pat, recalled rocking Evan when he was just a tiny baby imagining who he would be become. 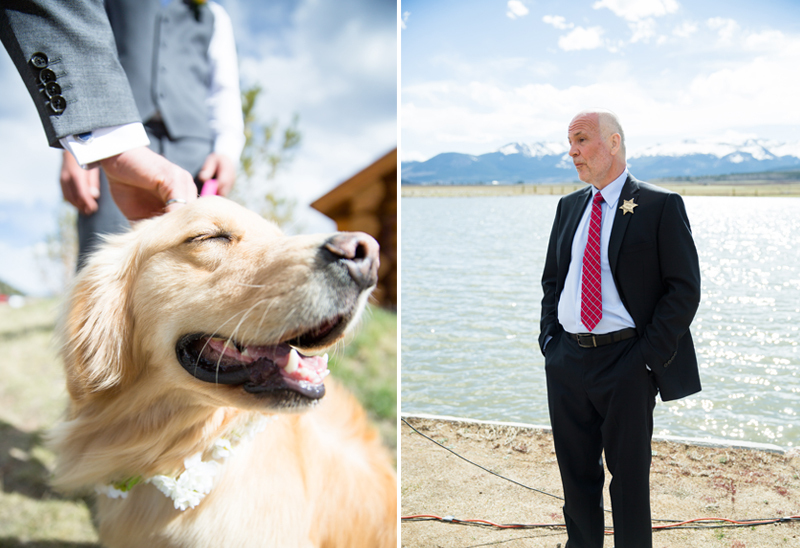 What would he look like? 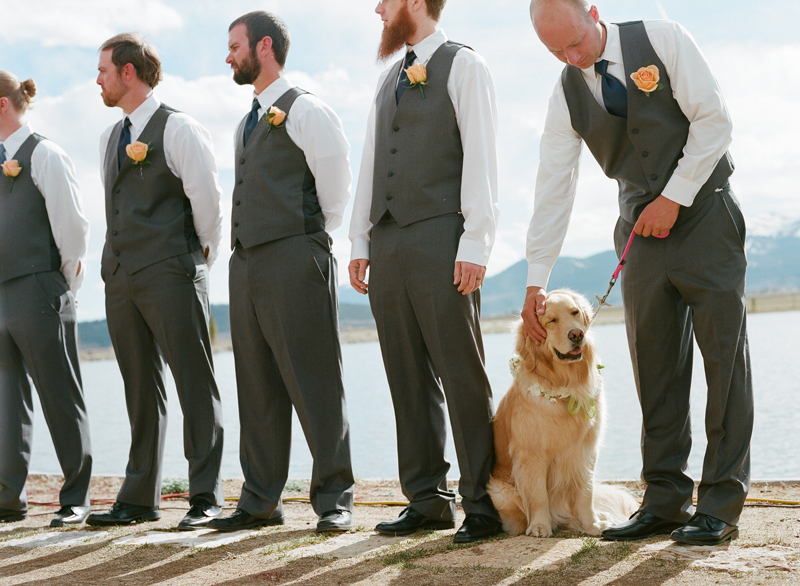 Would he be kind? 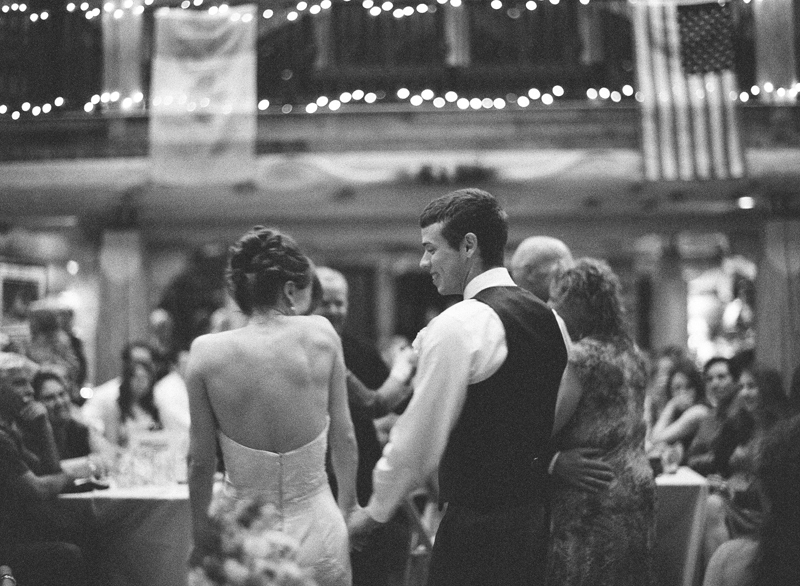 Would he know love? 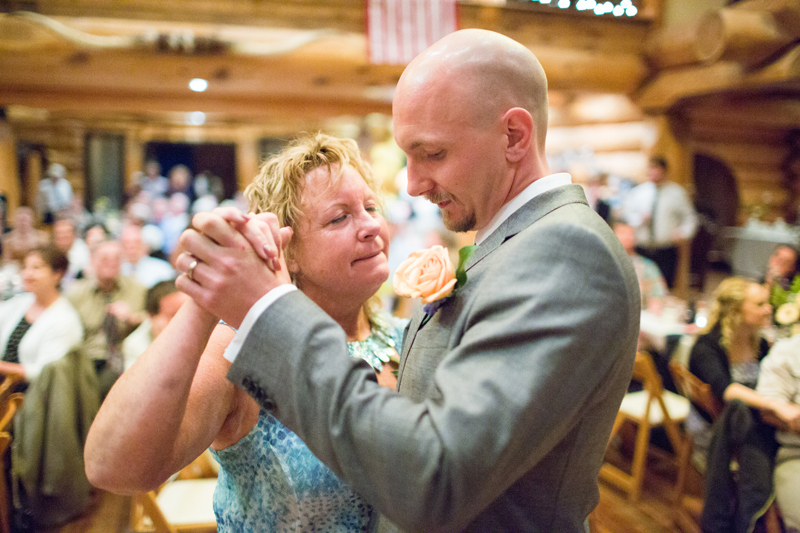 Pat talked about watching as the pieces of the puzzle of Evan became apparent as he grew up. 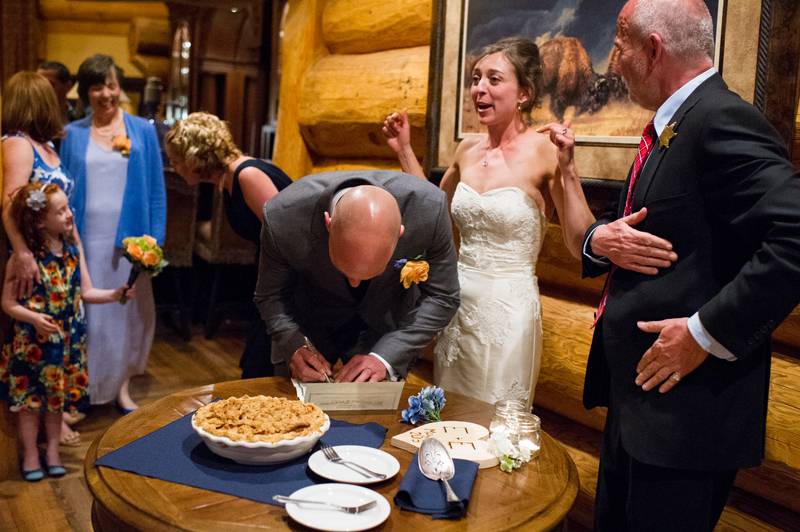 His early ability to sense and demand food. 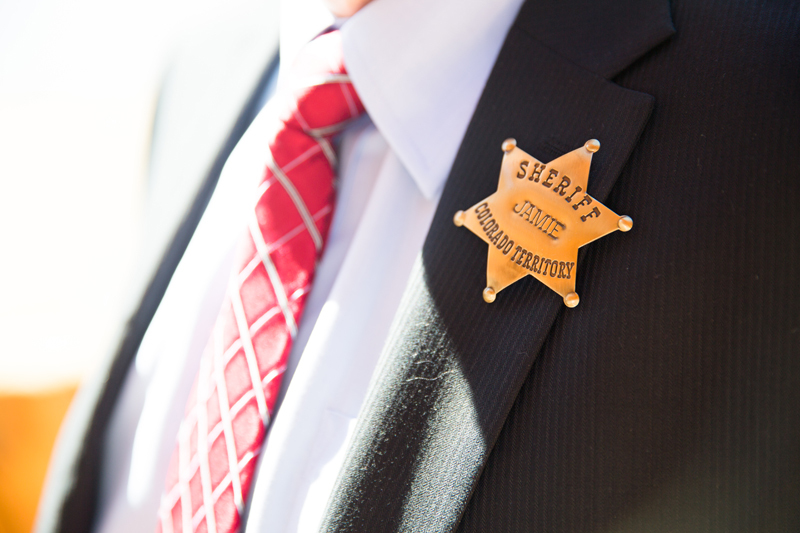 His conviction to always stand up for what’s right and defend those that need defending such as his brother one day at school. 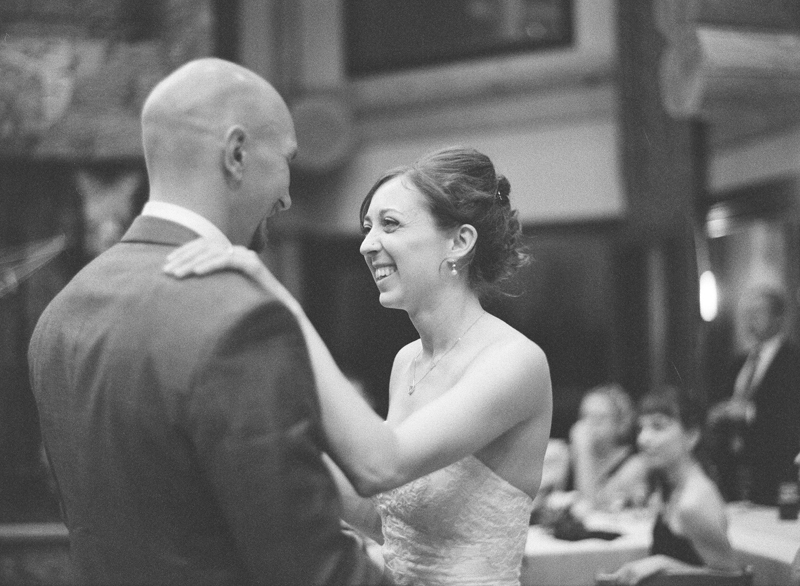 And about the day he came home to visit and cried when talking about Elizabeth. 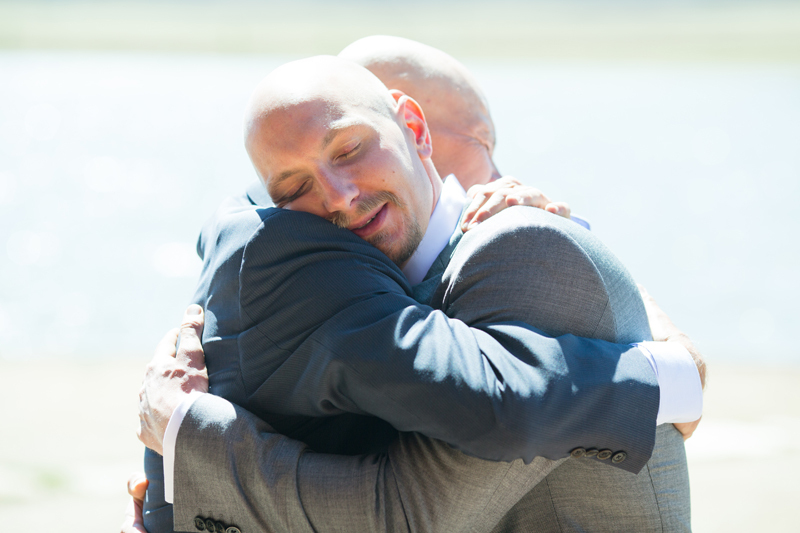 That day was the day that Pat knew Evan had truly found love. 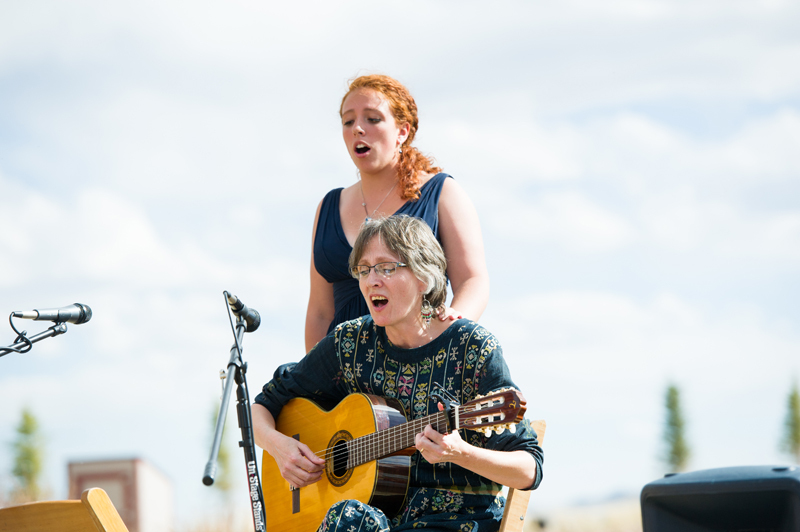 During the ceremony the bride’s cousin and Aunt sang a song. 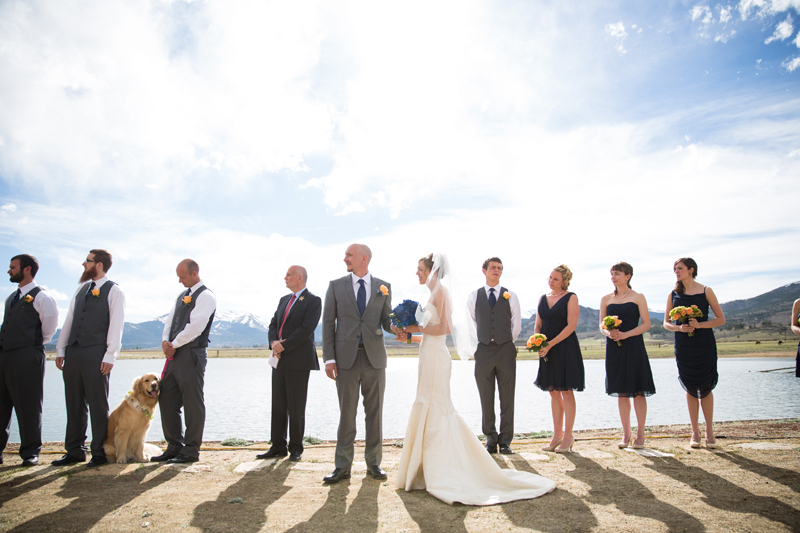 The beautiful sound floated over the bride and groom, guests, the lake, and up towards the mountains. 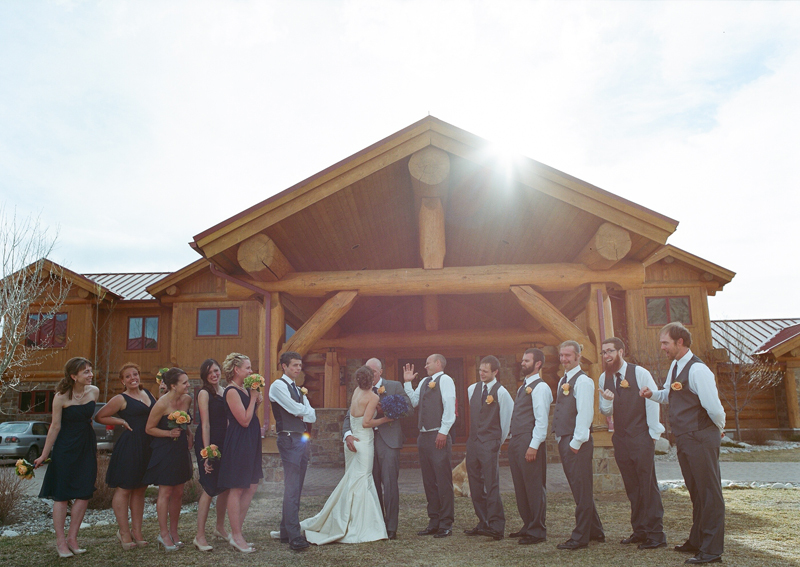 As they sang Elizabeth and Evan quietly held hands as they stood partway through their wedding ceremony and took a moment to really be in the ceremony. 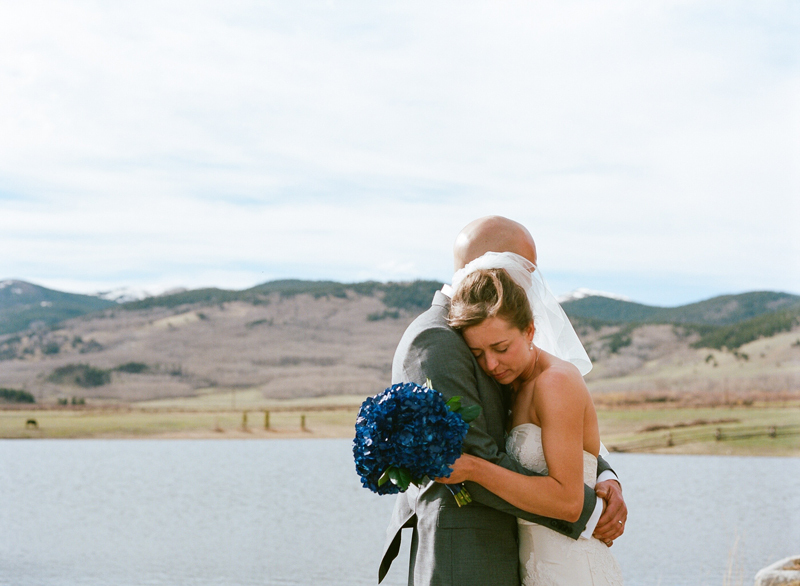 I found myself with tears welling up beneath my eyes. 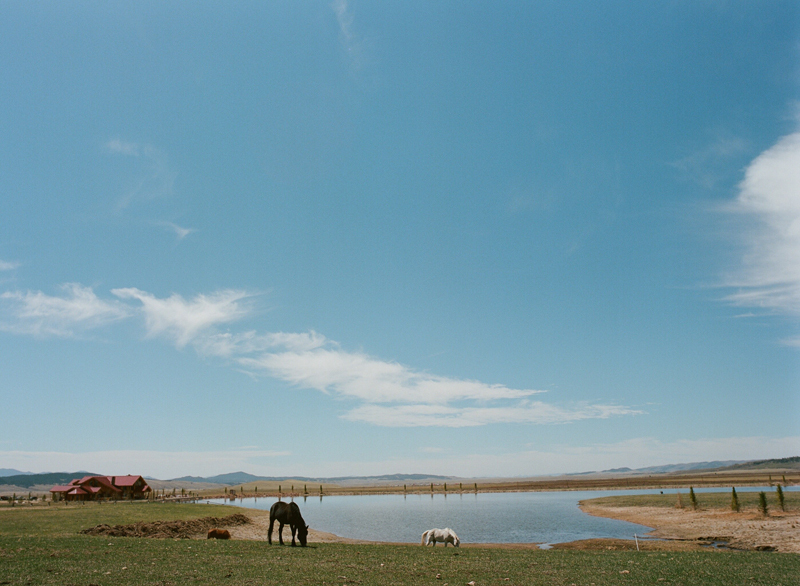 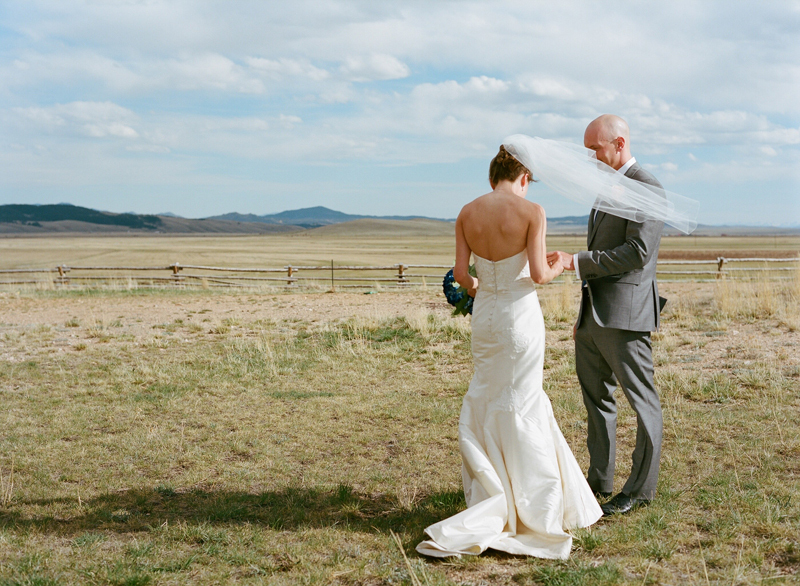 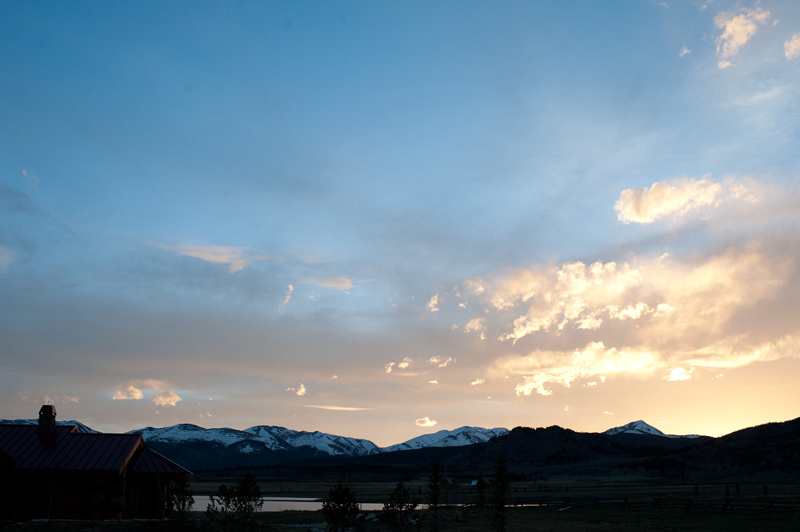 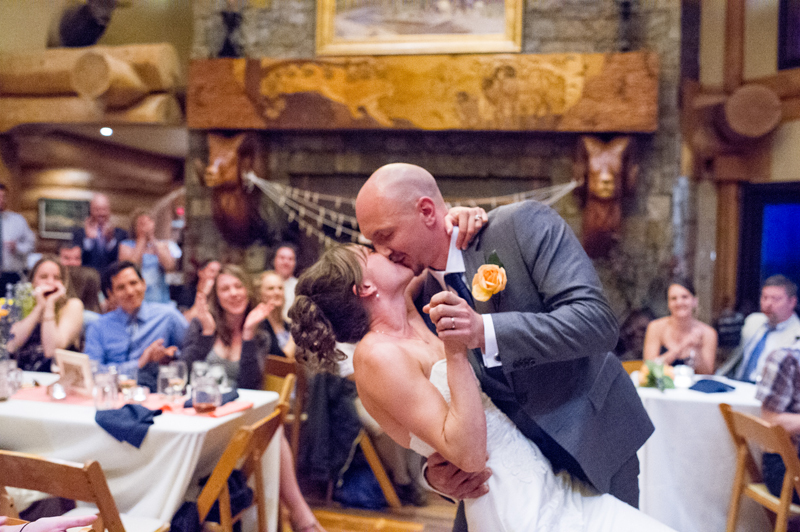 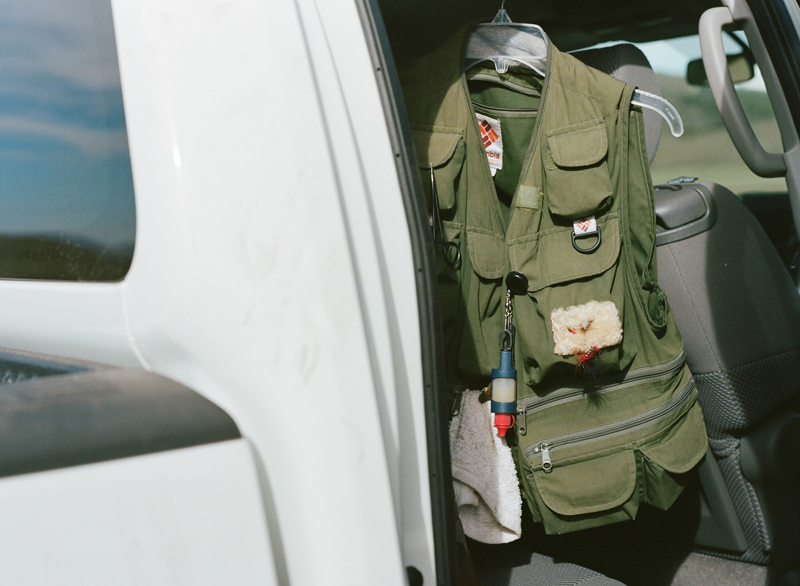 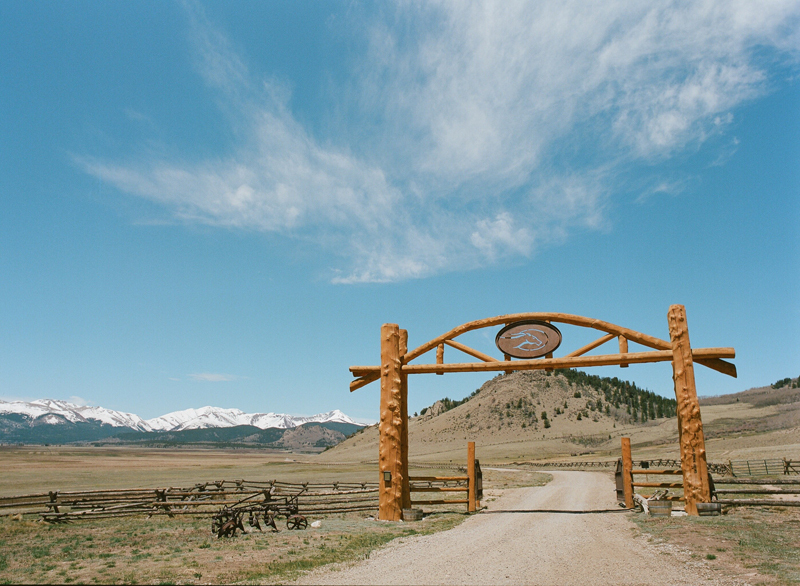 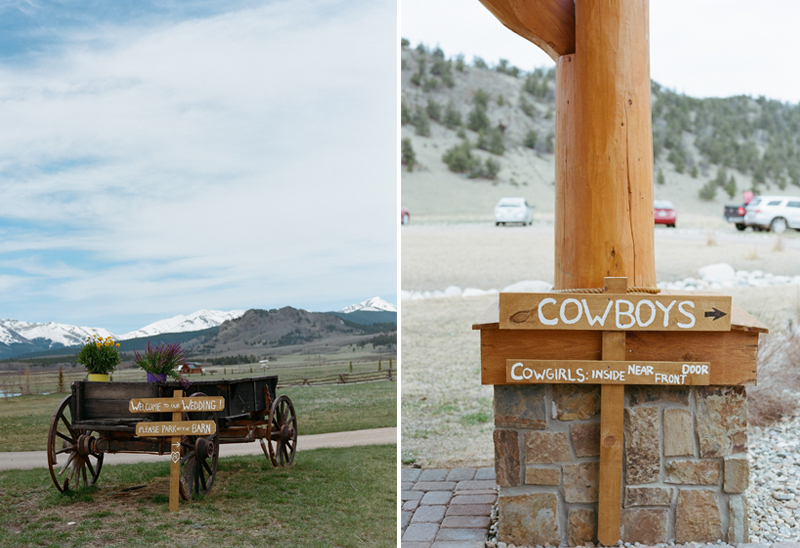 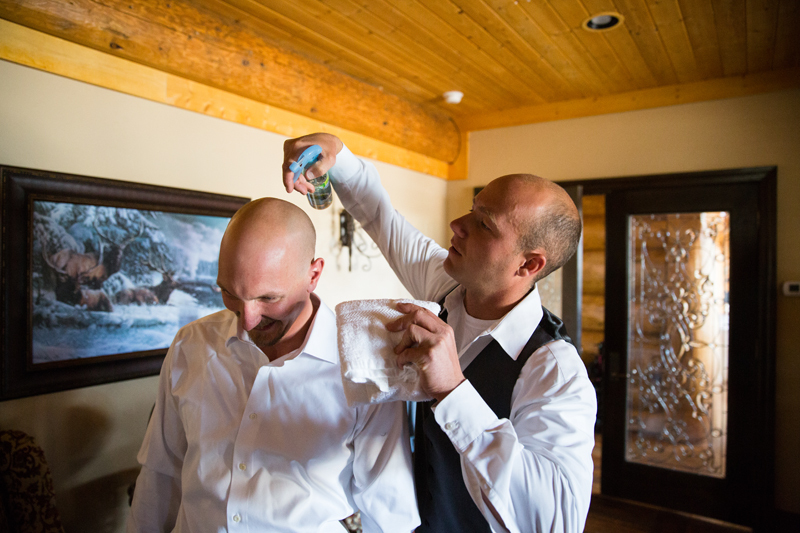 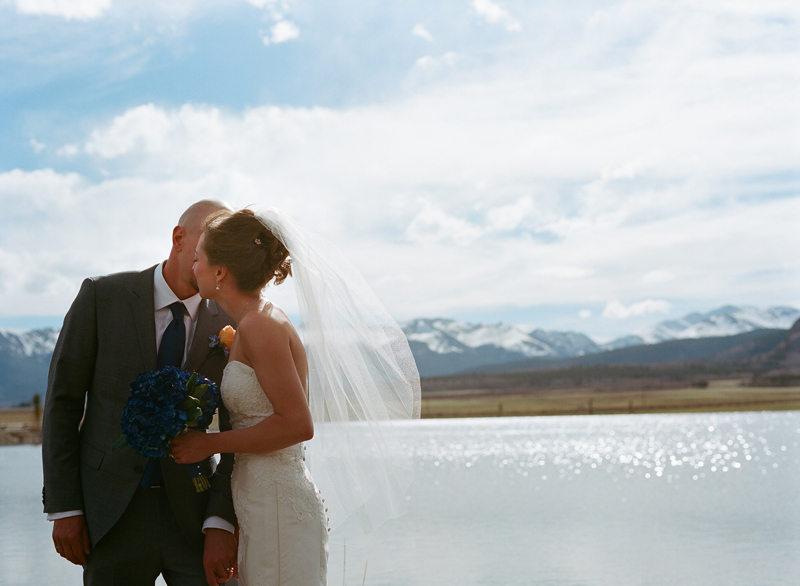 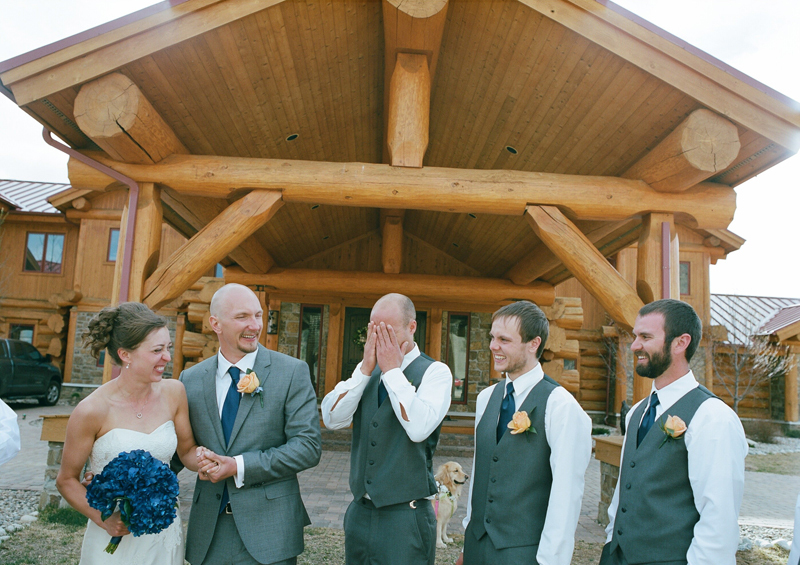 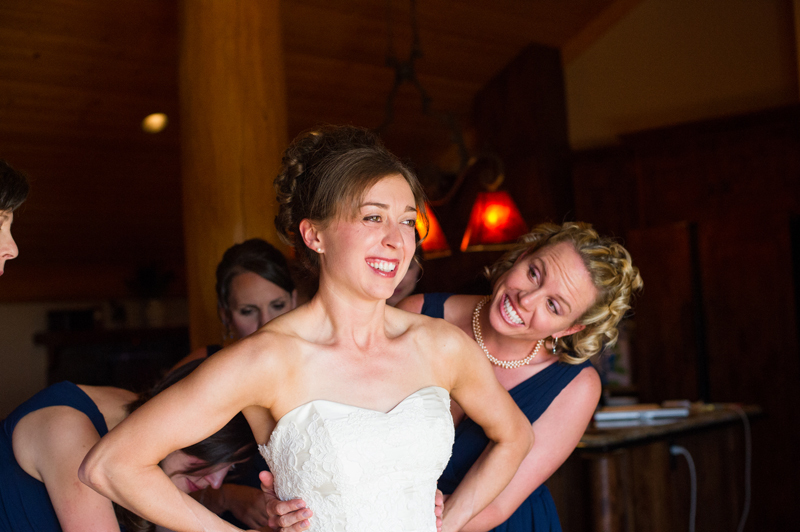 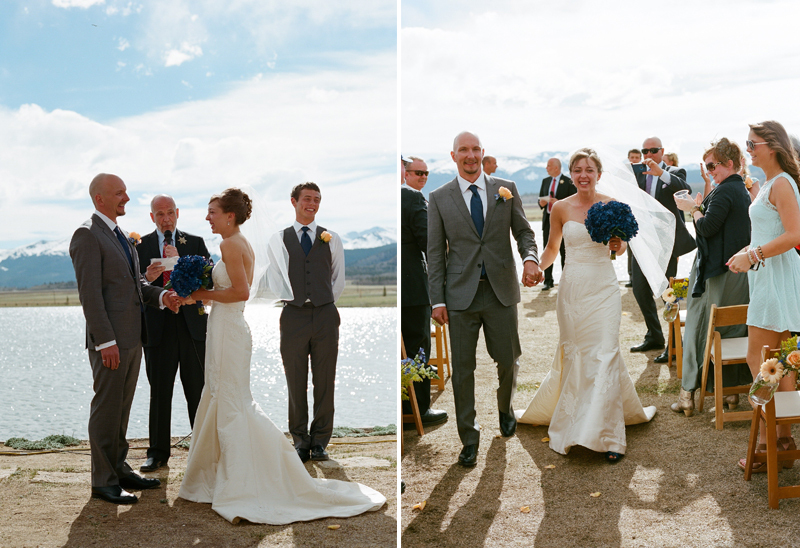 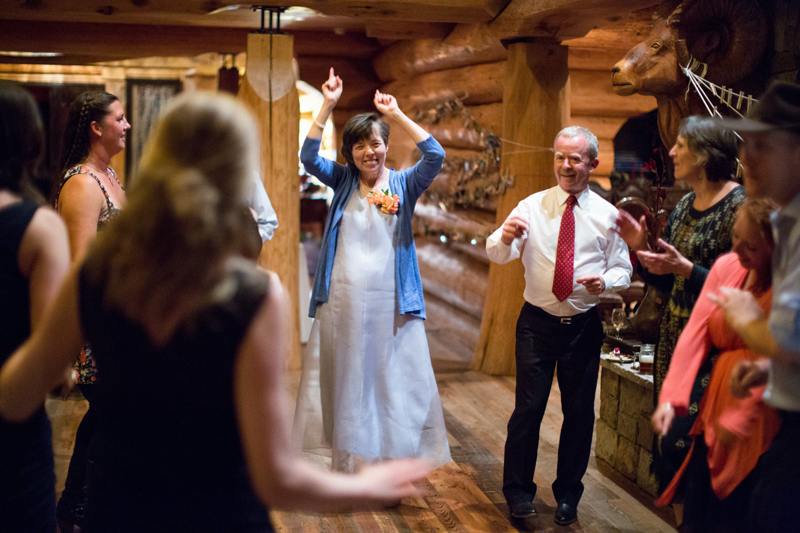 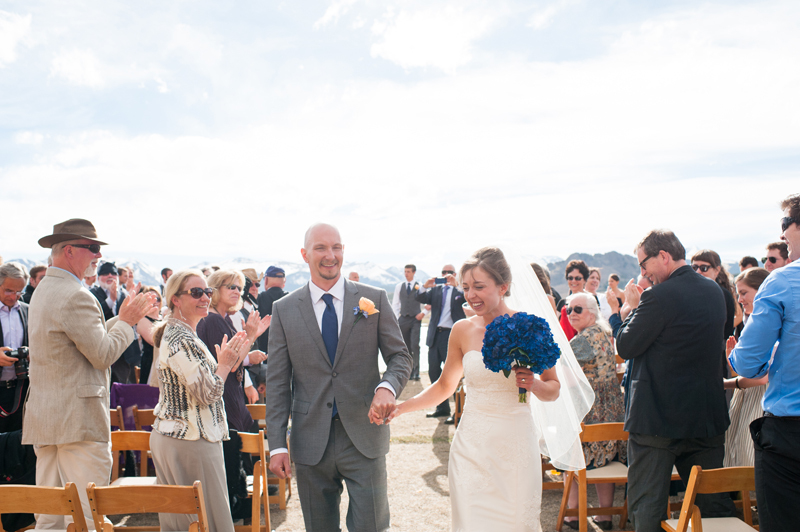 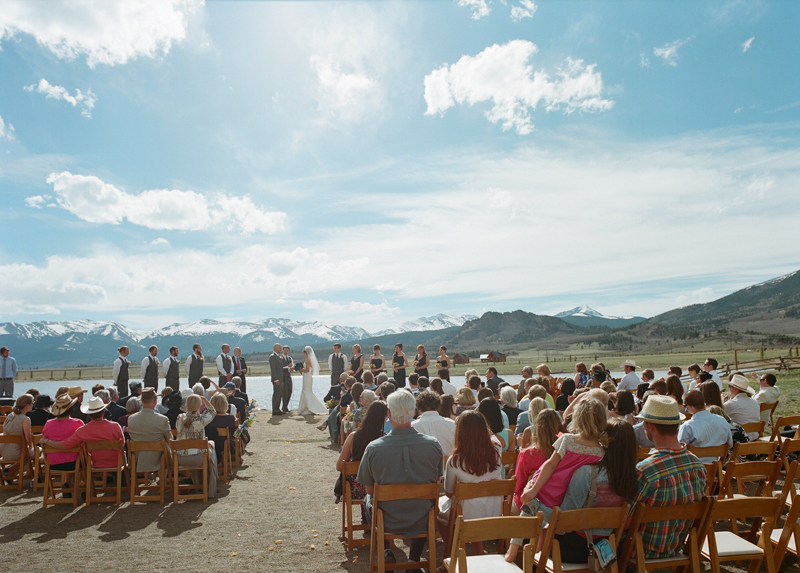 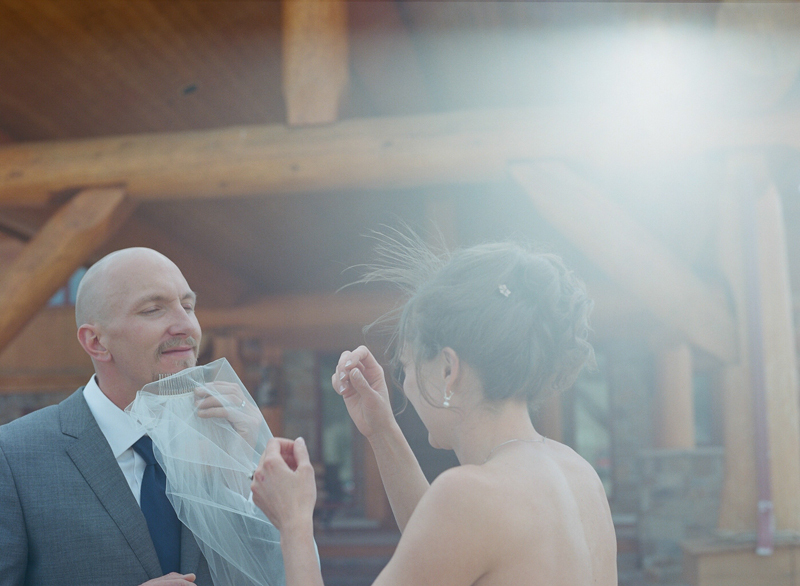 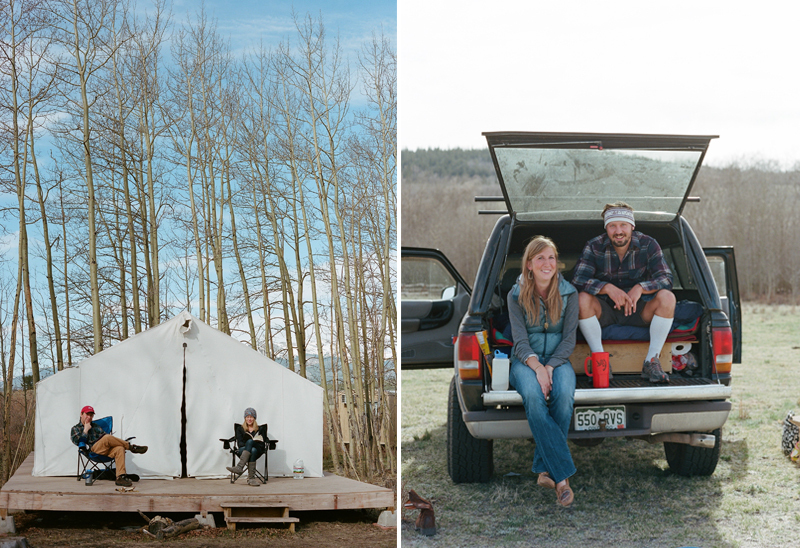 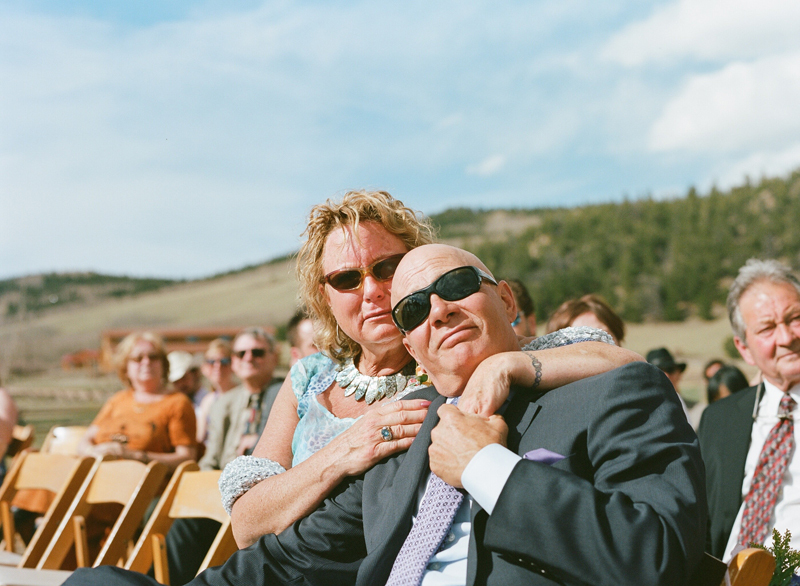 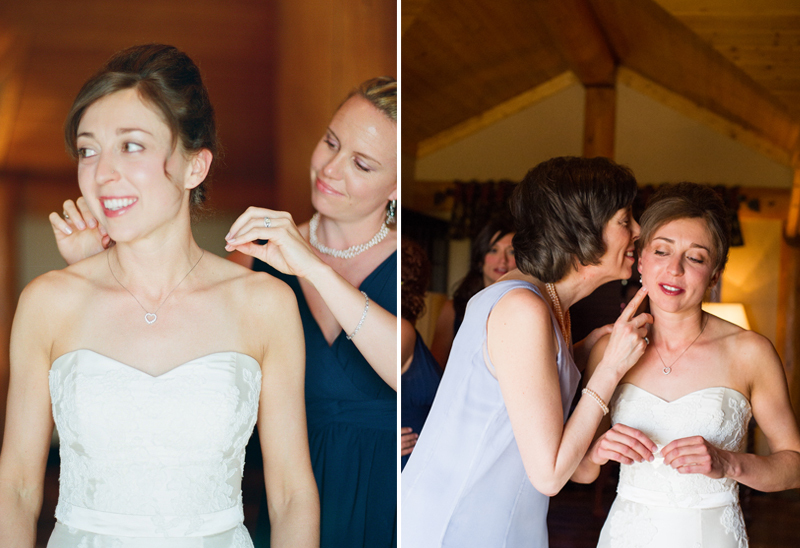 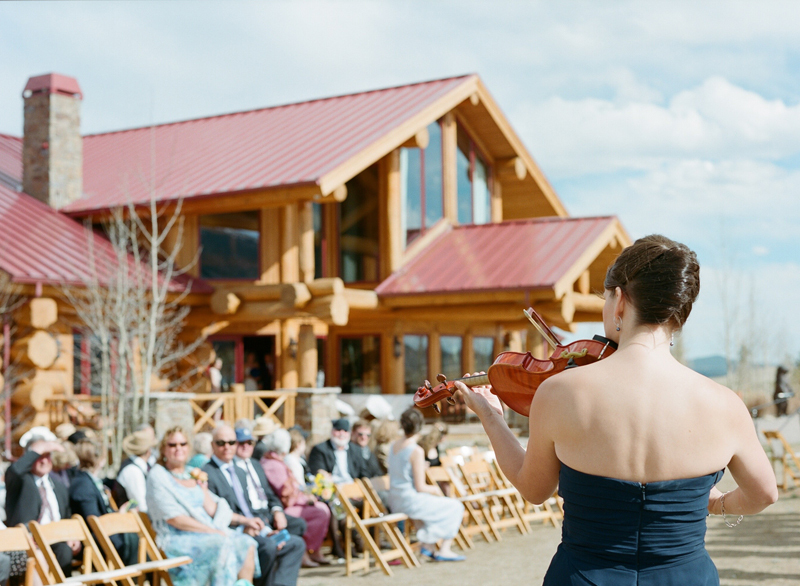 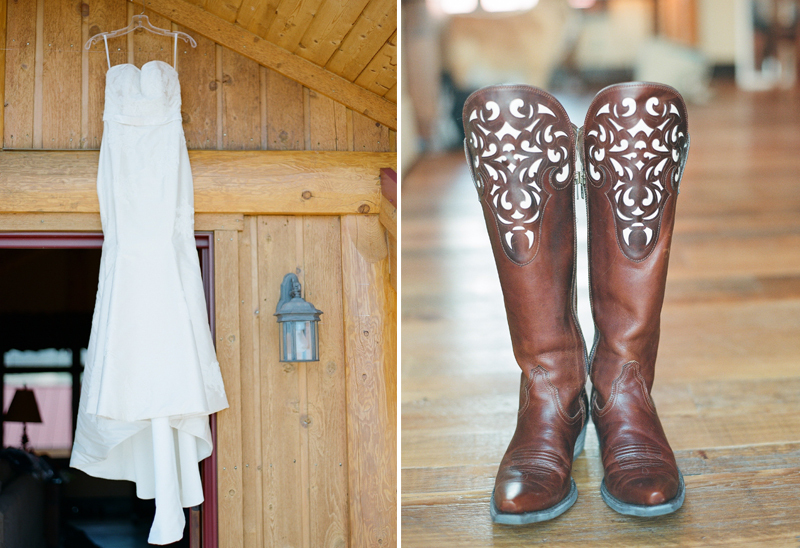 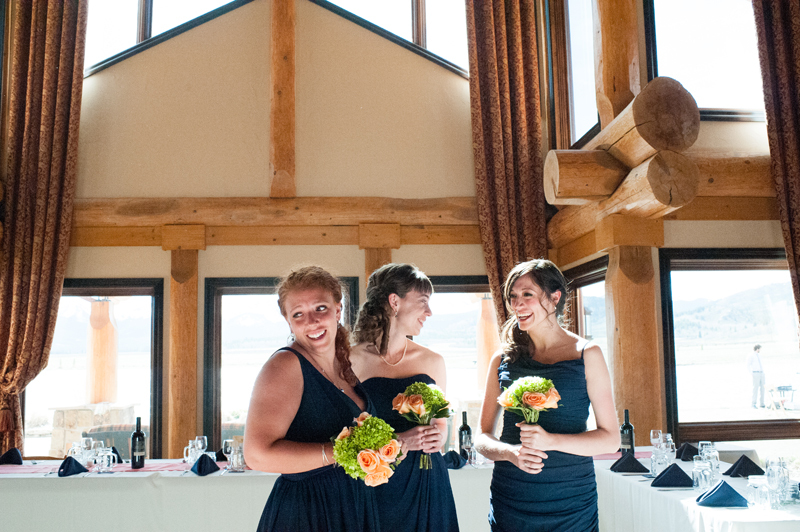 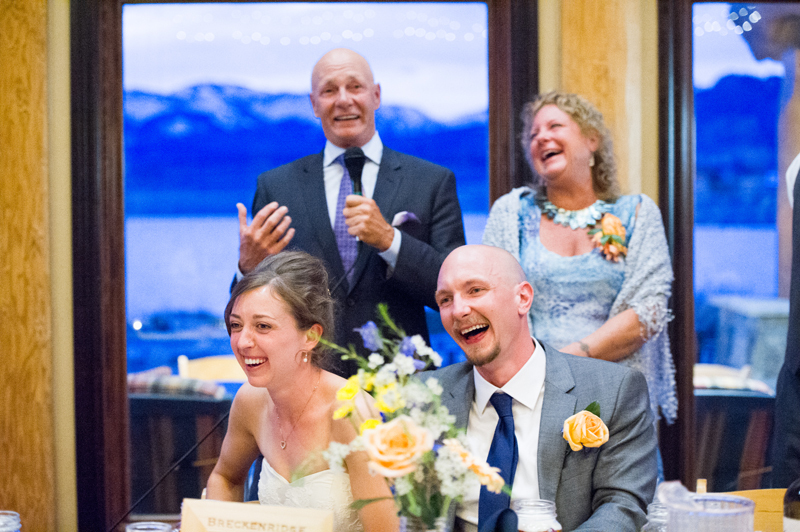 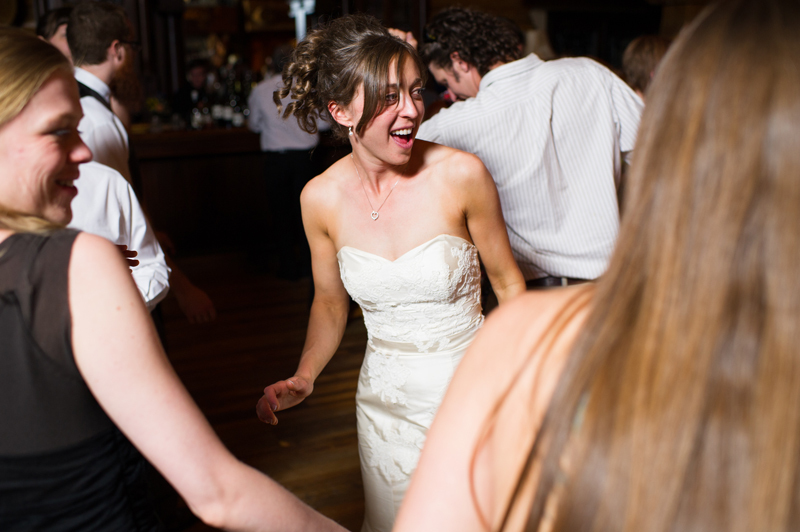 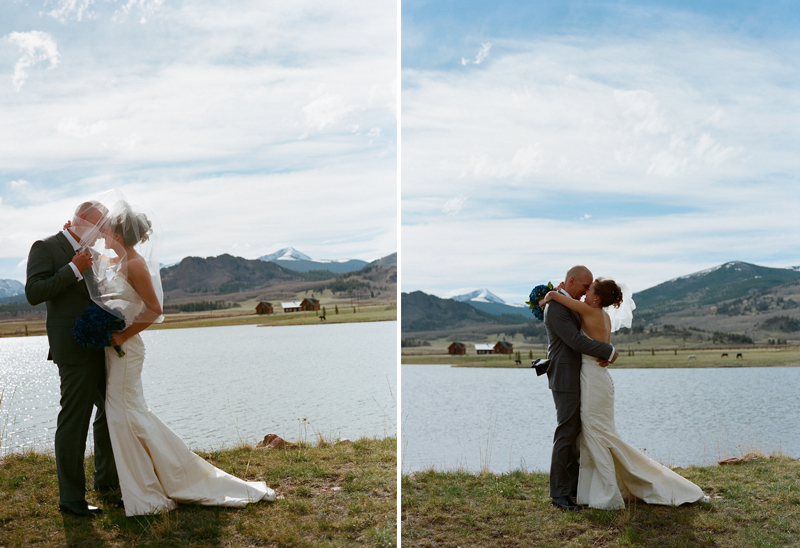 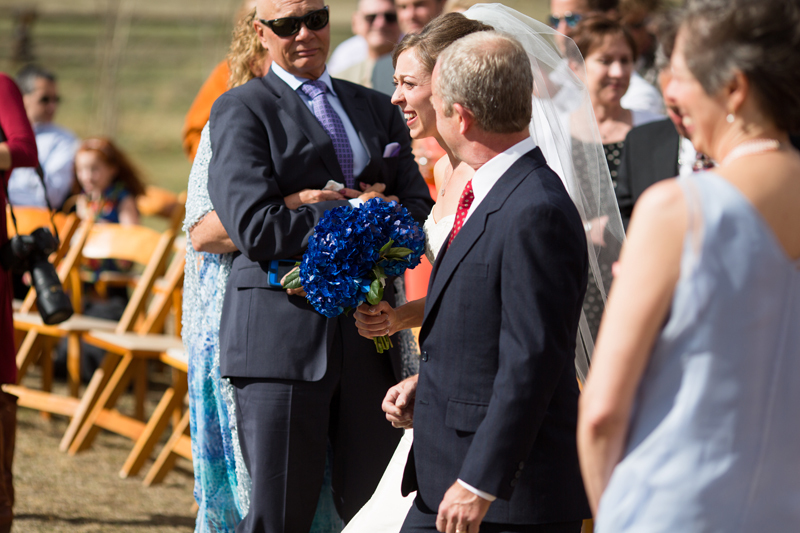 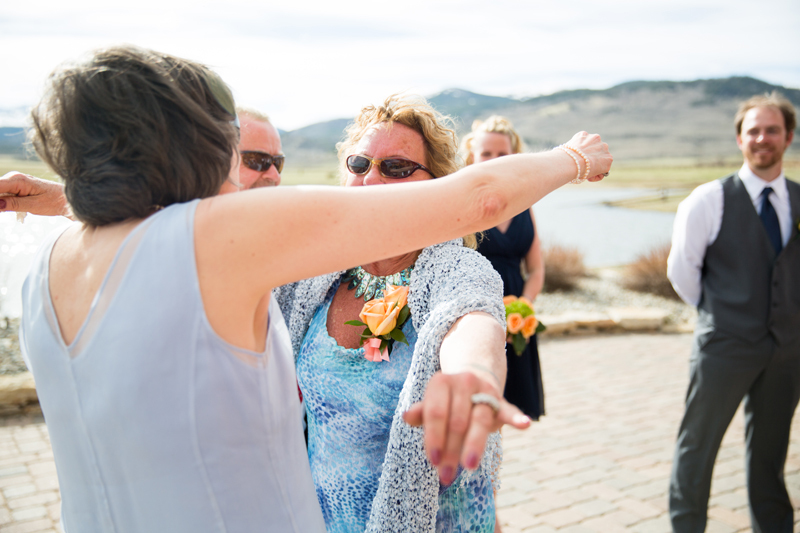 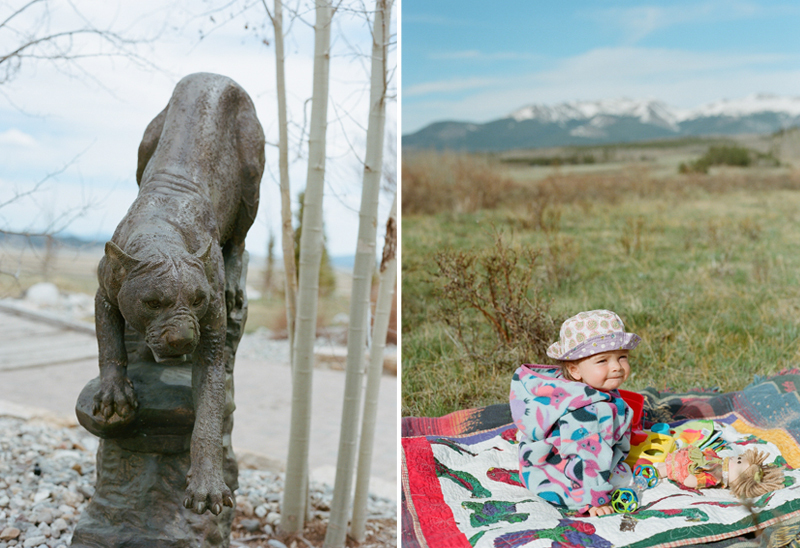 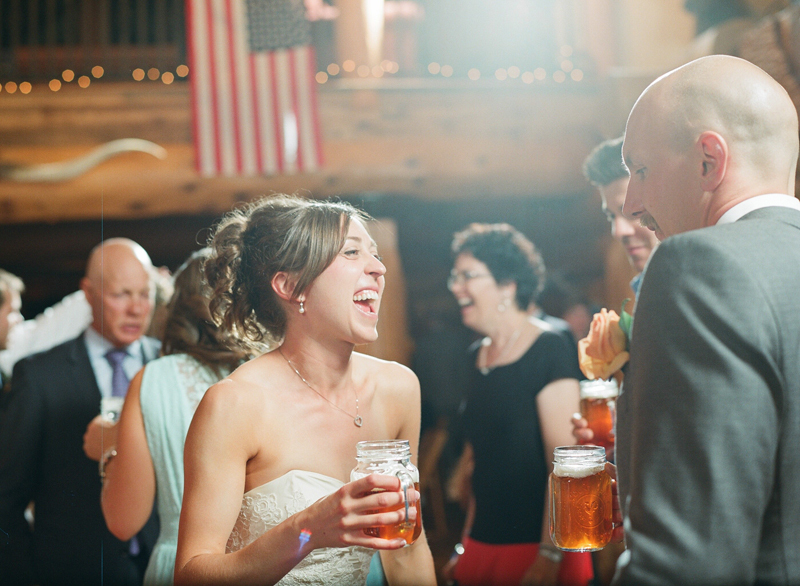 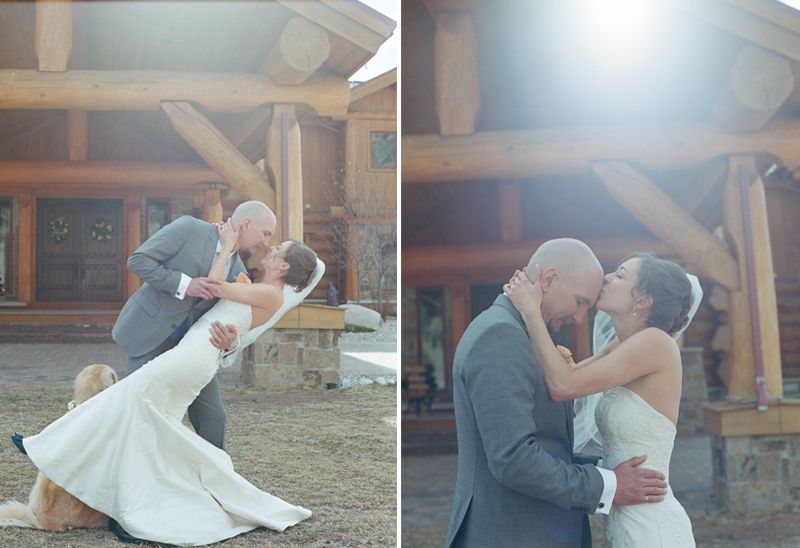 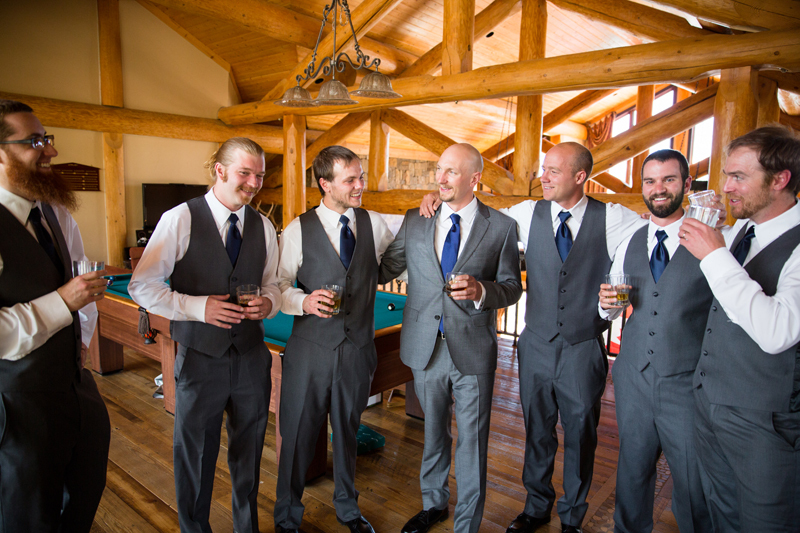 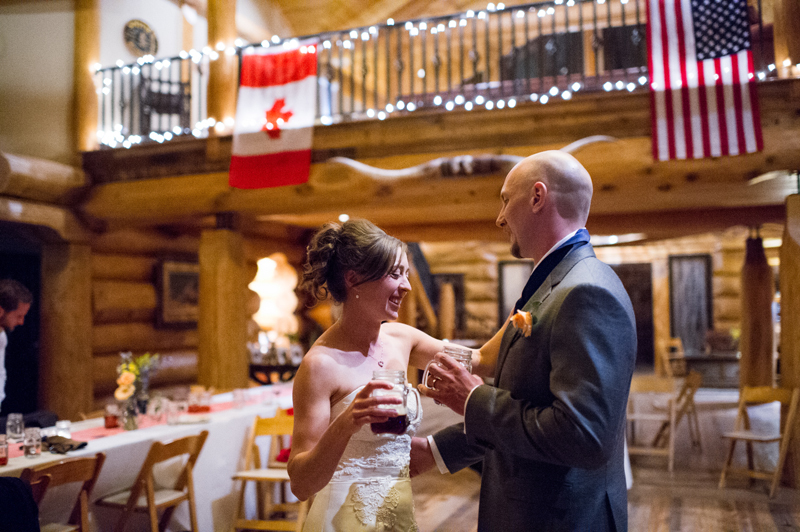 February 7, 2014 | Filed under Couples, Portraits, Wedding and tagged with Colorado Mountain Wedding, Flying Horse Ranch.